Manikandan Achari talks about winning the State Film Award and doing comedy in Alamara. These days Manikandan Achari is a busy man. 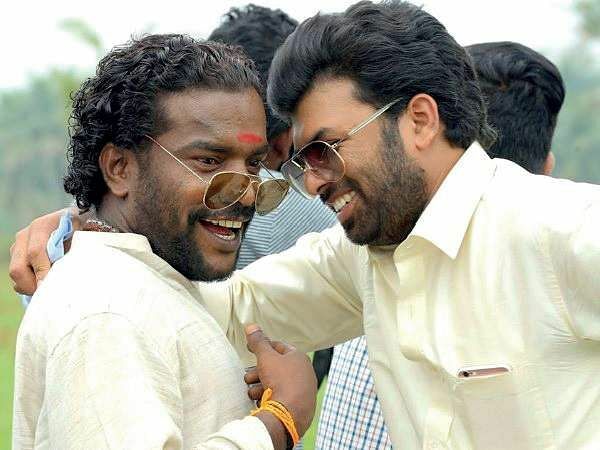 After receiving the Kerala State Film Award for the Best Character Artist, the actor’s phone hasn’t stopped ringing ever since his latest releases Alamara and Ayal Jeevichirippundu hit theatres last week. Lavished with praise by critics and fans alike for his brilliant performance in both films, Manikandan shares his excitement with Express. You have always been vocal about your struggles in life. Do you attribute your success to it? When I look back, I believe all those struggles were stepping stones to my stint as an actor. I never thought I would reach here, or even become an actor. In the past, I had to face difficult situations, including meeting people one never wishes to encounter. However, today, I think I am able to draw a lot of lessons from these situations. It helps me portray various emotions and situations on screen. ‘Kammattipadam’ co-actor Vinayakan wining the Best Actor Award? My award would mean nothing to me if Vinayakan had not received the award. I mean it from the bottom of my heart. I have watched Vinayakan perform even before Kammattipadam. Throughout his career, I was always an audience. He is a born actor. If I have to remember him so vividly when he debuted in Mohanlal-starrer Manthrikam, it means that he has the ability to make a screen presence. He is truly talented. Have you become choosy, post the award? I am looking for diversity because I don’t want to be typecast. I will be seen next in Basheerinte Premalekhanam and a small-budget film Kallam. How did the industry respond? It was good. From my experience, I feel that there is a healthy competition in the industry. Everybody is willing to accept that talented hands need to be rewarded. This willingness to accept new faces is obvious with actors like me being given chances. Do you think there is a change in people’s taste for cinema? It is sad to see that good movies like scriptwriter-turned director Vyasan K P’s Ayal Jeevichirippundu, which has a relevant social message, is not generating much of a buzz in the box office. This reveals the kind of attitude ruling movies these days. In Alamara, you play Subramaniam. This was your first tryst with comedy. Were you apprehensive? Yes, this was my first tryst with comedy, though my character Balan chettan had to play a bit of situational comedy in Kammattipadom. This is how Midhun Manuel identified the comical streak in me. People say that playing a comic is much difficult. It is true. But, I was never apprehensive. Rather, I feel blessed that I am able to play various avatars.